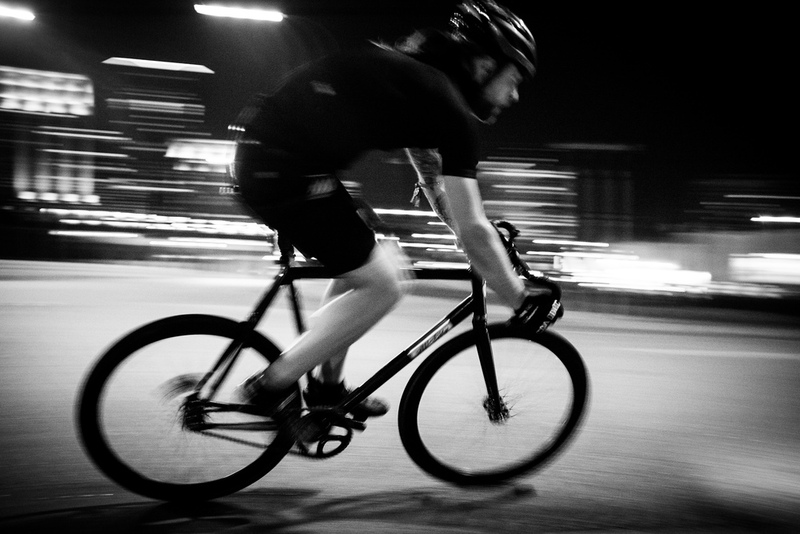 Last night was the 2nd annual All-City Championship Track Bike Crit. Meeting behind One on One cycles, like many of the un-offical Minneapolis races, it was time to say hello to friends, drink some beer, and for racers to sign in. Jeff of All-City cycles gave the quick rundown to racers and it was time to roll out to the course. The course this year was a much bigger loop than last year, wrapping around the Minneapolis farmers market and the warehouses in that area. One practice lap for the racers, and a quick reminder that the race was on open roads, the race was off with a furry. A $50 prime for the winner of the first lap started the race at warp speed. Quickly it was clear that of the 40 riders, only about eight riders had the gearing and legs for the full 14 laps. It was a great race with no wrecks all under the glow of downtown Minneapolis. The event was also a great test for a new camera, a Fuji X100s. It was great to only carry something so small and light, changing how I shoot slightly from my normal DSLR.